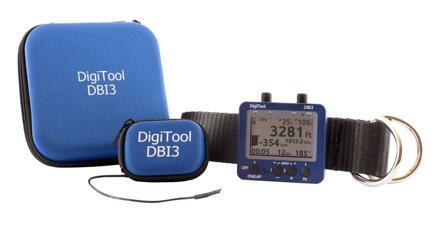 The DigitTool is an FAA approved temperature monitor for hot air balloons. It is a replacement for your Ball instruments, or FlyTec instruments. 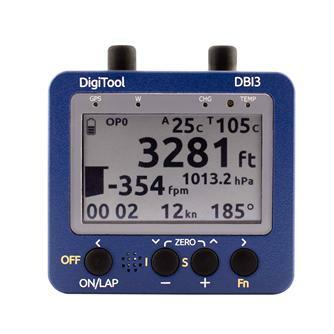 The DigiTool temperature sensor mounts on the same kind of mount that the FlyTec used, so if your balloon is FlyTec ready, it is also DigiTool Ready. The DigitTool unit has all the same readings as the FlyTec, Ambient Temperature, Envelope Temperature, Altitude, Vertical Speed. In addition to these, it also has a GPS, and it shows you speed and heading. 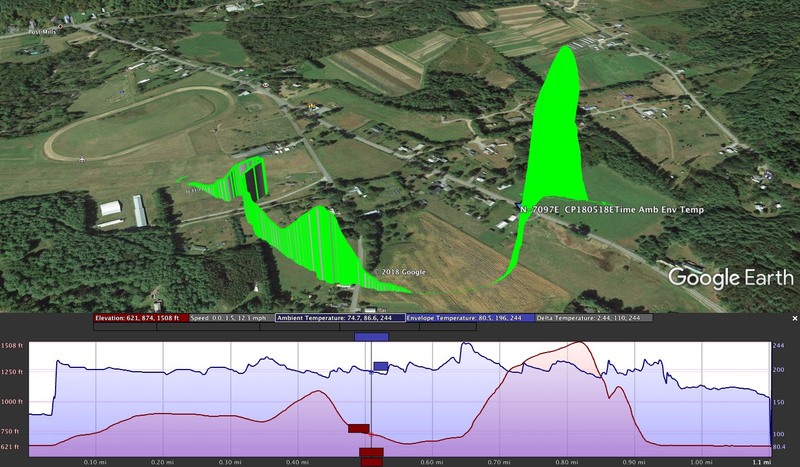 The really cool feature is that the temperature data can be downloaded. 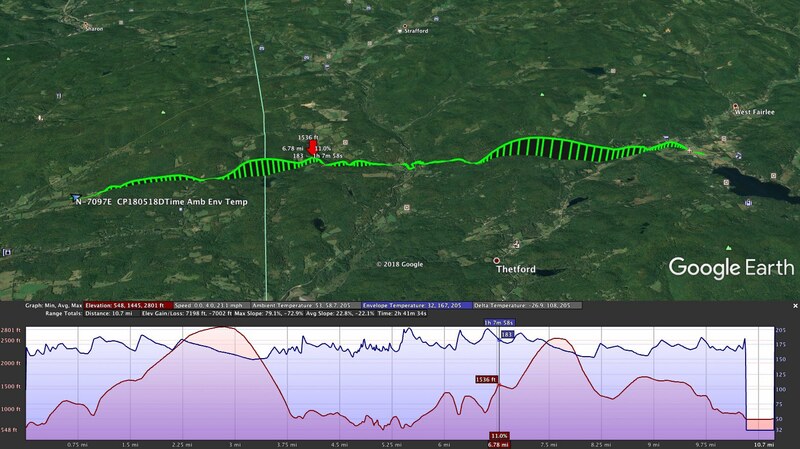 See below for some Google Earth screen shots with temperature displayed on the flight tracks.